When you have completed campaign mode and played some multiplayer online you will probably ask yourself what can i do now on Halo 3??? Well, one thing you could do is learn more about the hidden skulls and what they do. In Halo 3 there are hidden skulls. Nine (9) gold skulls and four (4) silver skulls can be found throughout the game. There are a few reasons you might want to locate the skulls and achievements is one of them. Eitherway you will need to know the following detailed information to help you on your adventures. After you have found the inidividual skulls they can be activated in campaign mode and will change the game in one way or another. Check out the detailed info below for more information. Effect: If playing co-op and any player dies, everyone restarts from the last checkpoint. In single player, if you die you restart at the beginning of the mission. Effect: Shields only recharge by hitting an enemy with a melee attack. Effect: Enemies avoid projectiles, vehicles, gernades, etc with greater success. Effect: Enemies throw gernades... FAST. Effect: No motion tracker for you. Effect: Dropped enemy weapons have less ammunition. Effect: All enemy units are upgraded one level. Effect: Enemy resistance increased. Armors that was highly resistive to human weapons gets 100% resistance. Effect: All enemies have double health. Effect: Your heads-up-display (HUD) is turned off. Effect: Kill a grunt with a headshot and it explodes into confetti and the kids cheer! Effect: BOOOM! Larger explosions in the game. Effect: Unlocks hidden dialogue in campaign mode. So, now you know what they do let’s get to the important part. Where are they? Because most of these are kind of hard to find and it is difficult to describe their locations, I have decided to include videos that have been posted on YouTube showing their locations. I have found that this is the best way to do it. Without further adieu, here is the locations of all 13 skulls in Halo 3, in the order you can find them. This is on the first level (Sierra 117) after the covenant ship comes down and unloads at the mouth of the river. This is in the dam area of the first level (Sierra 117). Stay to the right, and follow the platform around. This is the room you start in on the second level (Crow’s Nest). There are two methods, the one below and going to the right of the air duct instead of the left. There’s a box there from which you can reach a beam. This is on the second level (Crow’s Nest) where you drop down after fighting the flying bugs in the air duct. This skull is on the third level (Tsavo Highway). There are a couple of ways to get it, the video is my preferred method. This skull is on the fourth level (The Storm) after you kill the wraith tanks. An alternate method to the gernade would be to play in co-op and jump from a teammate’s head. This is on the fifth level (Floodgate). As you come into the city the skull is thrown from the roof to the right. This one is on the sixth level (The Ark). The path you follow branches off into two sections (one leading to the area where you need to let the tanks across the bridge, and the other leading towards the area where you meet up with the frigate). Take the right path, as you would if you were completing the mission. Alternate method again instead of the gernade, use a teammate. This in the sixth level (The Ark), fairly far in. Level seven (The Covenant) has this one. This is on the eigth level (Cortana), in the room where Cortana says that she likes to play games. This is at the beginning of the final level, level nine (Halo). This video has great directions on it that clearly explain the procedure for getting the skull. Good luck on finding those skulls everyone! Don't forget to discuss Halo 3 in our xbox 360 forums right here on 360-hq.com. Halo Waypoint launched, Halo Legends! New Halo 3 Mythic Map Pack Screenshots Revealed! New Halo 3 Achievements Revealed!! New Game Built Into Xbox Dashboard? Sci vs Fi: Mass Effect - Tuesday Nov. 20th. Rumor: 360 Getting 2 Game Bundle? Forza releases 10 new cars. Played halo 3 beta, wanna win a prize? Halo 3 : Adjustable Gravity! Rumor: Halo3 Demo Coming Early Next Year? Barcelona to hold X06 convention! Analyst: Halo 3 Back in the Frame? ilovebees is back -- or is it? Finally.. what is Origen question, answered! Halo 3: ODST audio log locations..
See homer simpson playing Halo 3. Halo 3 HQ Community Game Event - 2/3 May FINISHED! Halo 3 mythic map pack HELP! Halo 3 forge or custom game anyone? 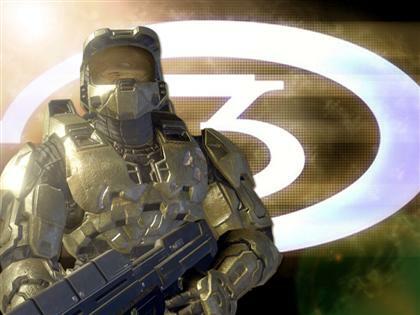 New Halo 3 Achievements up! halo 3 - No Campaign Mode Working?? Help with IWBHYD Skull in Halo 3?? HQ Halo 3 Clan Bungie Group Page JOIN UP! Halo 3 Co-Op Campain - Whats your thoughts?? My New Halo 3 Special Edition Console!! HALO 3 collectors Edition Video!! PreOrder Halo 3 360 System Today! HALO 3 not the end of battle? Halo 3 beta thoughts, oh and of course contest. Halo 3 4 disc set with replica of spartan helmet! 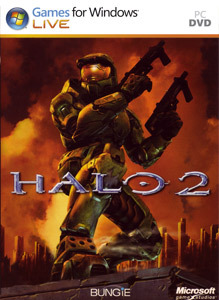 When is the Halo 3 beta going to be available? E3 so far? Fable 2/Halo 3? Payday 2 is the sequel to Payday: The Heist. Payday 2 is an action-packed, four-player co-op heist shooter that once again lets gamers don the masks of the original Payday crew – Dallas, Ho..